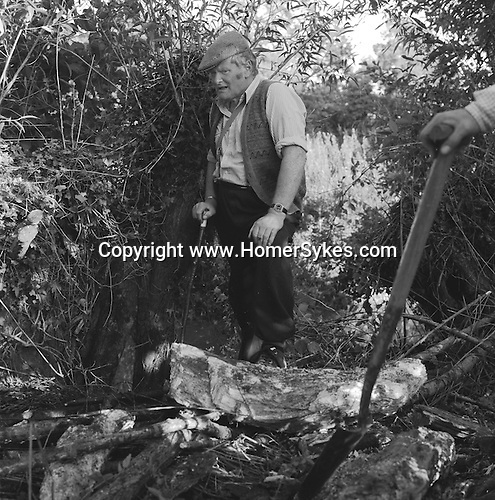 The Valley Minkhounds..Tom Dover, a regular follower, listens for a mink that may have escaped down a rotten tree trunk, and into the root system. Near Aldermaston, Berkshire...Hunting with Hounds / Mansion Editions (isbn 0-9542233-1-4) copyright Homer Sykes. +44 (0) 20-8542-7083. < www.mansioneditions.com >..